Home / Media / Partner Press Releases / The Oxford Rye Vodka Did It Again! The Oxford Artisan Distillery won the World’s Best Varietal Vodka category at the World Vodka Awards for the second year in a row. The World Vodka Awards are an internationally recognised award and part of the World Drinks Awards, dedicated at selecting the very best in all internationally recognised styles of drinks. Presented by TheDrinksReport.com, the world’s no.1 online resource for drinks professionals, the World Drinks Awards select, reward and promote the world’s best drinks to consumers and trade across the globe. 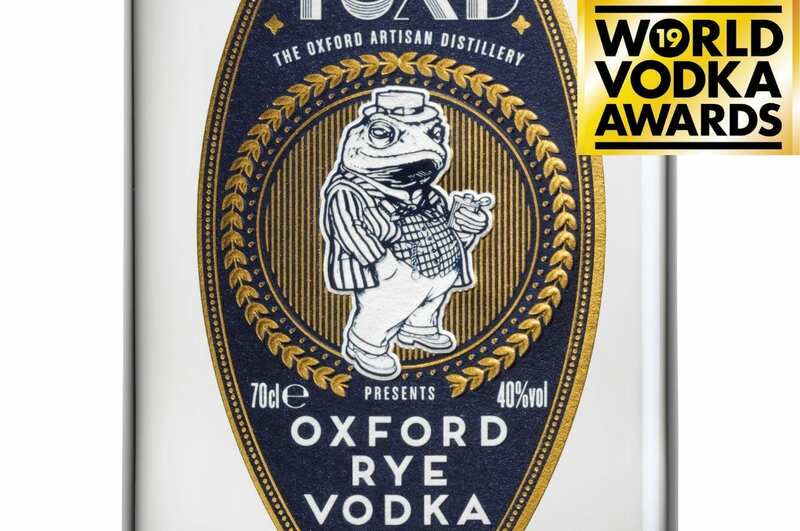 The Oxford Rye Vodka is created from grain to glass in TOAD’s unique hand-built copper stills, using exclusive populations of ancient heritage, sustainable grains. It is available at £34.95 per 70cl bottle.